WIN a FREE bottle of VO5 Salon –Enter for your chance to win! 1,100 winners. 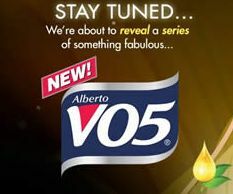 Starting 01/11/13-01/21/13 VO5 is giving away 100 coupons for a FREE VO5 Salon Series Product (value $2.49).